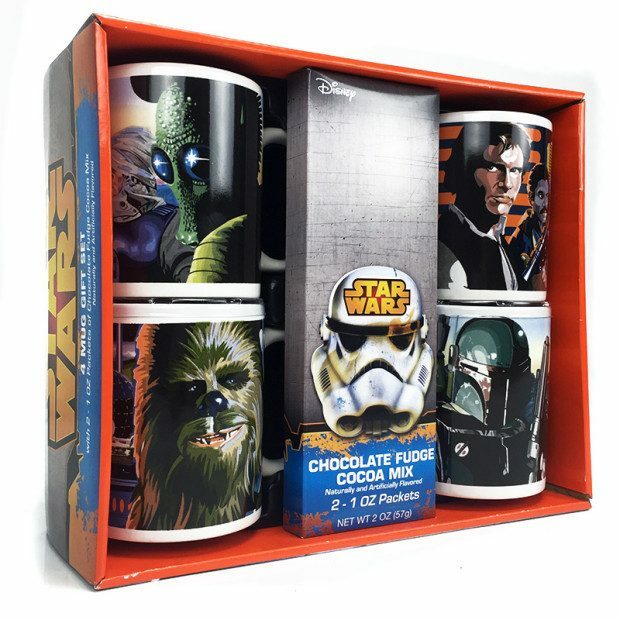 Star Wars 4 Mug Gift Set w/Hot Cocoa Mix $9.99! Ships FREE! You are here: Home / Great Deals / Star Wars 4 Mug Gift Set w/Hot Cocoa Mix $9.99! Ships FREE! Celebrate being a Star Wars Fan all winter long with this Star Wars 4 Mug Gift Set w/Hot Cocoa Mix for Only $9.99! Ships FREE! The set features two designs that is ideal for fans. Are you a Grumpy Gus in the morning? Choose the Dark Side mug and let that chipper morning person in your life use the Alliance good guys mug. It’ll all balance out in the end! It comes with two packs of chocolate fudge cocoa mix.